Rescue teams mobilized, watch Haiti turmoil from U.S.
Members of U.S. and Icelandic rescue teams review maps this week in Port-au-Prince, Haiti. U.S. ambassador to Haiti says he's unaware that search teams mobilized but stayed in the U.S.
Washington (CNN) -- Four of the 10 American rescue teams mobilized in the hours following the earthquake in Haiti are returning home Tuesday -- having never traveled farther than their local airports. Federal government officials said the four -- including teams in Texas, Ohio and two in California -- were not flown there because Haiti could not "absorb" them and because they were being held as relief for crews that made it into the country. Disaster experts said a bottleneck at the main airport in Port-au-Prince could have prevented the crews from entering Haiti quickly, but they scoffed at the suggestion that the teams, skilled in locating and freeing people entombed in collapsed buildings, should be held in reserve. "That 72-hour window [in which most rescues are attempted] is not some casual number," said Irwin Redlener, director of the National Center for Disaster Preparedness at Columbia University. "It's actually a very serious [calculation of when most lives can be saved]." 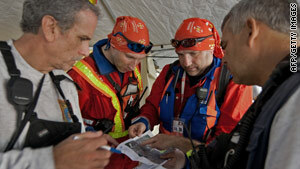 Redlener said it made no sense to withhold Urban Search and Rescue team resources until the latter days of a disaster. A second expert said the United States has an additional 18 US&R teams it could have drawn upon if reserves were needed. In the event of earthquakes, moving US&R teams should be the "highest possible priority," and the only limitation should be insurmountable logistical ones, Redlener said. The Federal Emergency Management Agency trains and funds the nation's 28 US&R teams, but in Haiti they have been working under contract with the U.S. Agency for International Development, the State Department organization heading the relief effort. USAID spokesman Evan Casson Coutts said the agency made the decision to withhold the four U.S. teams "in consultation with the Haitian government." The relief effort is at this point "prioritizing the shipments of life-sustaining commodities, including food, water and medicine." 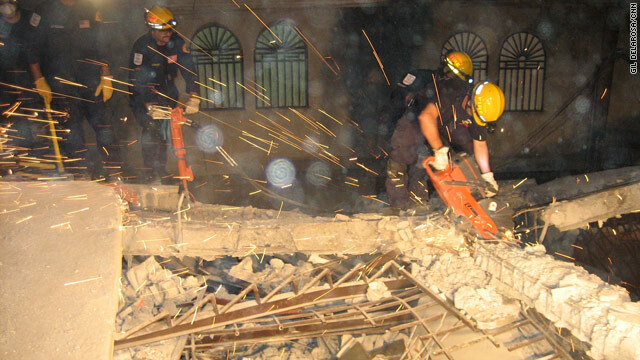 The US&R teams specialize in rescuing people in collapsed structures. The teams typically have about 80 members and travel with food, bedding and generators so they will be self-sustaining and will not be a drain on the communities they are trying to help. Asked Monday on CNN "American Morning" why the four U.S. teams and some teams in Canada had not been brought to Haiti, Kenneth Merten, the U.S. ambassador to the country, said, "I'll be honest with you. I haven't heard those stories about the search-and-rescue teams not being mobilized down here." "That 72-hour window ... is not some casual number." Merten said he would look into the issue, adding the teams may have been held back because of capacity issues. He also said there are "limitations on where these people can go, where they can set up, where they can bed down." A USAID spokesman suggested Monday that the 43 teams that traveled from around the world to help Haiti were sufficient. They include 1,739 first responders and 161 canines. Coutts said USAID directed FEMA to prepare four more teams for possible deployment to "ensure that any additional search-and-rescue needs could be met immediately upon request." Based on postings on their Web sites, the teams thought they were going to Haiti, until being told to stand down Monday.